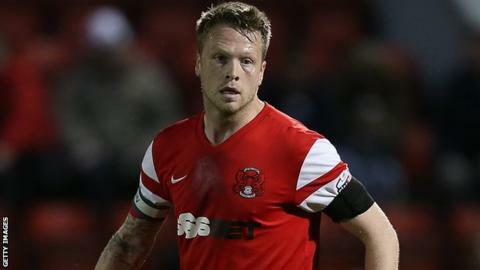 Captain Nathan Clarke has refuted a report which said League One strugglers Leyton Orient are "a club in crisis". An Evening Standard article suggested players had held their own team talks because of a language barrier with Italian manager Fabio Liverani. It was also claimed players had been unsettled by the wage structure and some staff were "determined" to leave. "I'm a bit surprised and I'm not too sure where it's come from," centre-back Clarke, 31, told BBC London 94.9. The O's, who were beaten in the League One play-off final last season, have endured a difficult season after being taken over by Italian businessman Francesco Becchetti last summer. Liverani is the east London club's fourth manager this season and Orient are currently 23rd in the table, three points from safety but with a game in hand. Clarke said he was "shocked an disappointed" by the report - but confirmed the players had held team meetings to discuss their form. "If it has been leaked out, I know for a fact it is not one of my players," he said. "They are a good group who are desperate to get out of this mess we are in. To go to the press and think that is the easy option to get us out is completely wrong. "When you are at the bottom of the league, like we are, then of course there are going to be meetings and people airing their views. "There are going to be people disappointed and wanting to get things off their chest. It is no different to any other club. "To put it in the press that it is a negative is really disappointing, on our behalf." The Standard claimed several signings since Becchetti's takeover were earning over £7,500 pounds a week - a figure three times the maximum weekly earnings amongst the squad which finished third last season and reached Wembley. "We have a chairman who backs the manager, whether that be in wages or helping us with facilities or travelling down the day before a game," added former Huddersfield defender Clarke. "I'm disappointed players have been singled out for wages and not putting in effort or showing desire. The team has not done well this season but it is not down to one person. "There are always differences in wages. You don't get one team that are always on the same. "To point the finger at that is a cop-out and an easy thing to say; that because he is on more than me I am not going to try or I'm not going to work. "There is not one player who is not going to put a shift in because he has got a couple of pounds less than the next man. "We are desperate to prove a lot of people wrong and that has spurred us on."